A certain loneliness comes with working while everyone’s asleep. 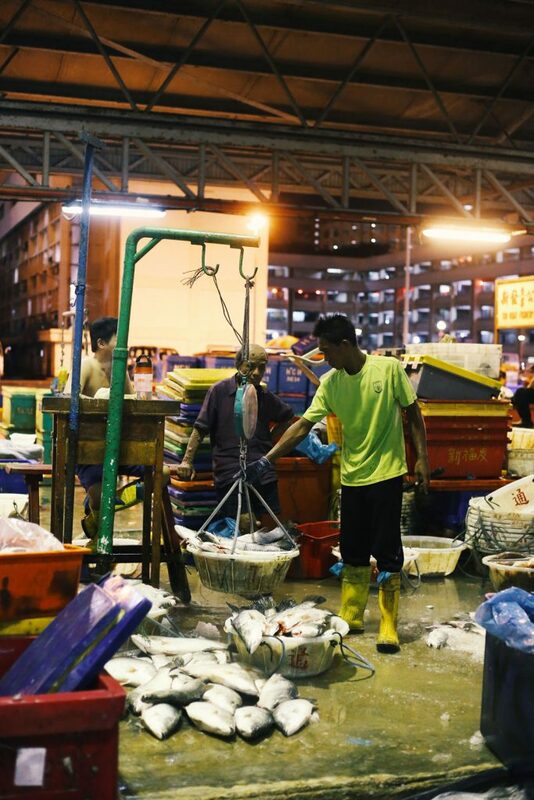 If you’re one of the fishmongers at Singapore’s Jurong Fishery Port, this is a burden your family shoulders too. “You wake up in the middle of the night without a husband,” says one of their wives. Yet even when the intoxicating pungency of fresh fish hits me before I pass the gates, I still don’t fully grasp what this means. How can I know what it means to be a fishmonger’s wife? Instead, it is the intense sights and sounds within the compound that make me realise just how alone this job can make one feel. 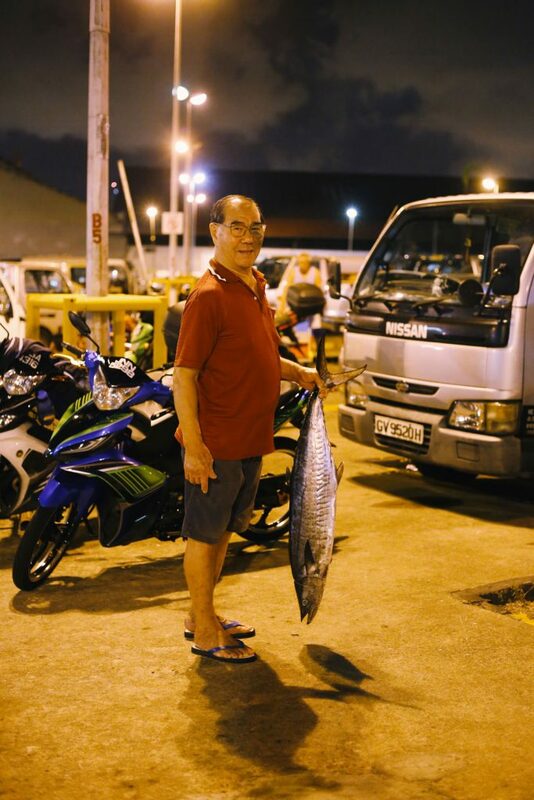 Under the orange glow of street lamps, the carpark glistens with littered fish scales. Taking turns to operate the forklifts, fishmongers move in a fluid clockwork motion. There are shouts of “lai, jie guo, jie guo” (please move out of the way! ), and plastic boots squelch against the wet floor. If there were symbols of resilience and grit, this would be it. This is hard work. But while this is admirable to me, this is just another typical day for them. When your working hours are 12 to 6am for 6 days a week, back-breaking hard work eventually becomes habit. 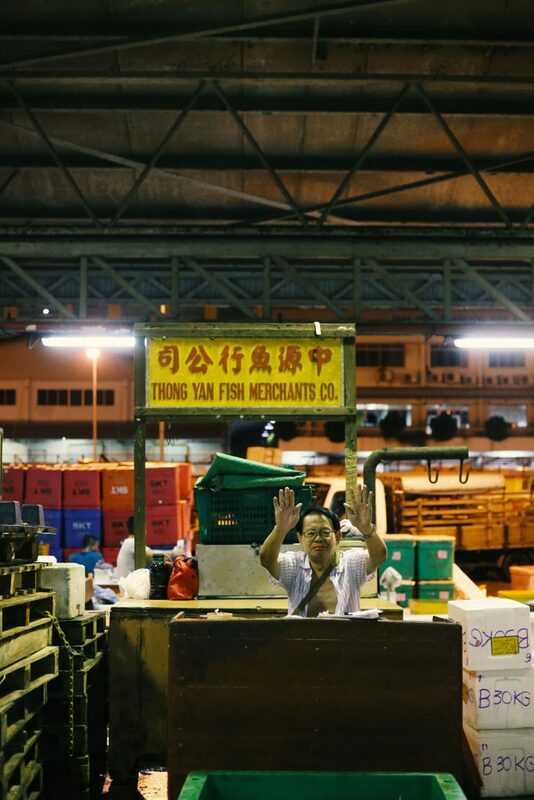 One fishmonger, who is from Malaysia, has been at it for 24 years. 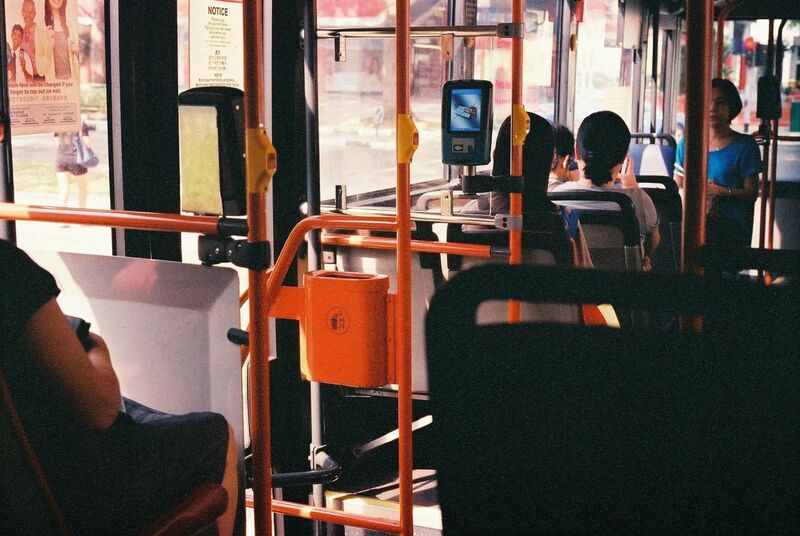 How many of my generation would take on a job that robs us of our social and family lives? 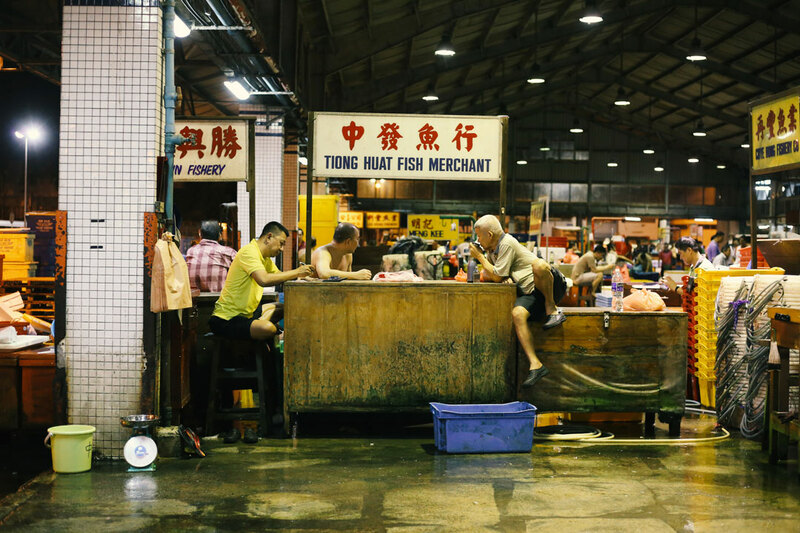 Junting shares the stories and struggles of fishmongers with me. 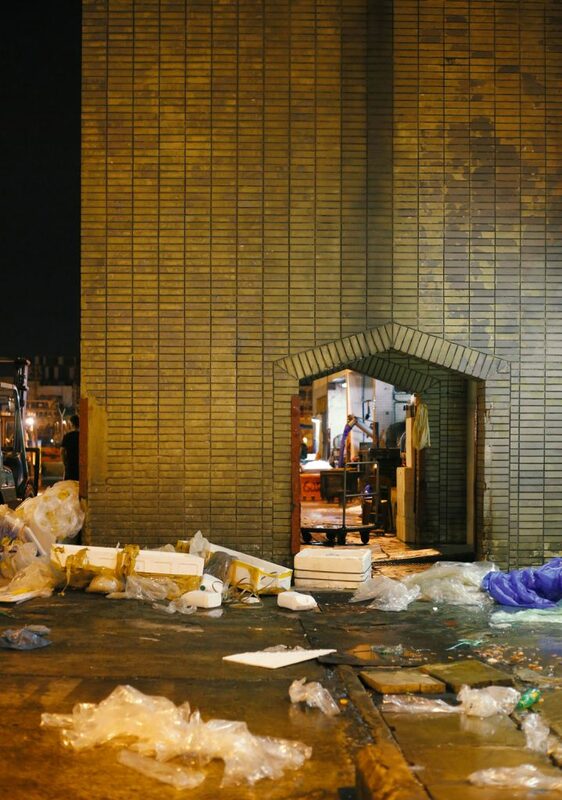 This, however, is Ang Junting’s reality. 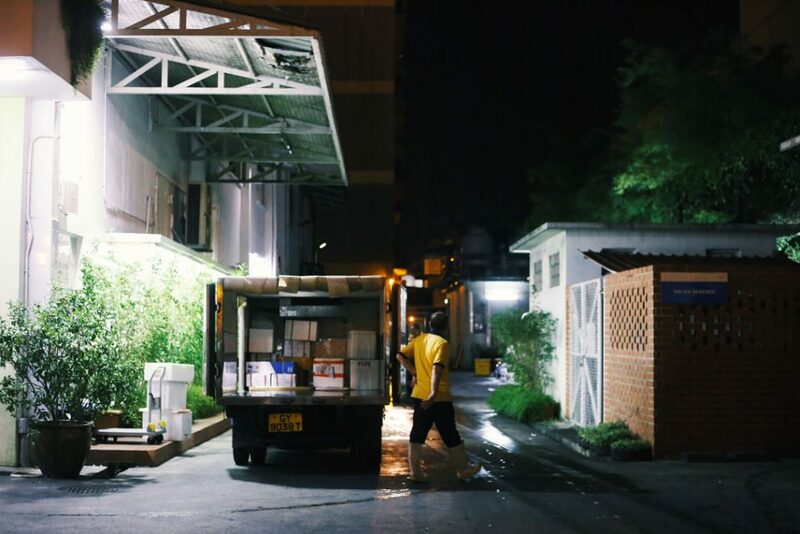 The fresh-faced deputy director of Hai Sia Seafood doesn’t mind irregular working hours — his handful of close friends understand his situation. It’s more important that his fishmongers remain connected to the outside world. 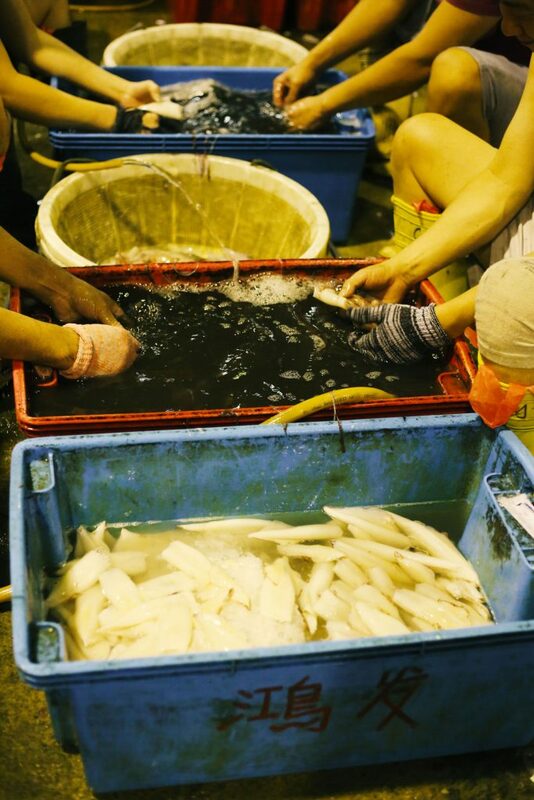 After all, they are a hidden community that toils away in the night, rarely getting recognition for how much they contribute to the food that lands on our plates. About 80% of them are Malaysian. The rest comprise mainly of Burmese and Chinese nationals. 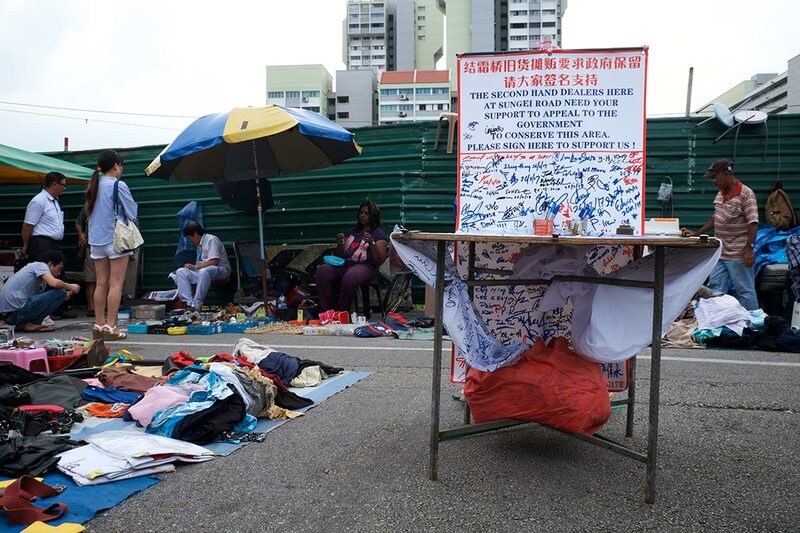 Singaporeans make up a small minority. 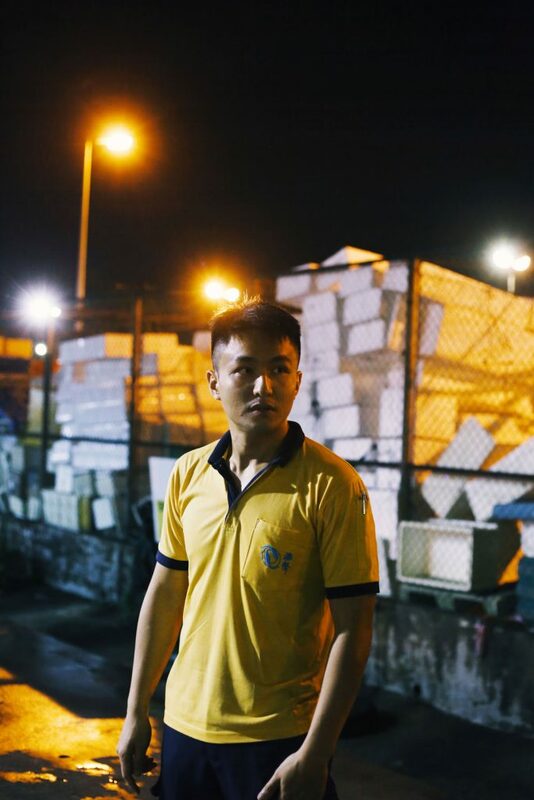 Unlike Junting, who realised he was passionate about the industry after taking over his dad’s business, many of these men build their careers on the simple motivation to make ends meet. 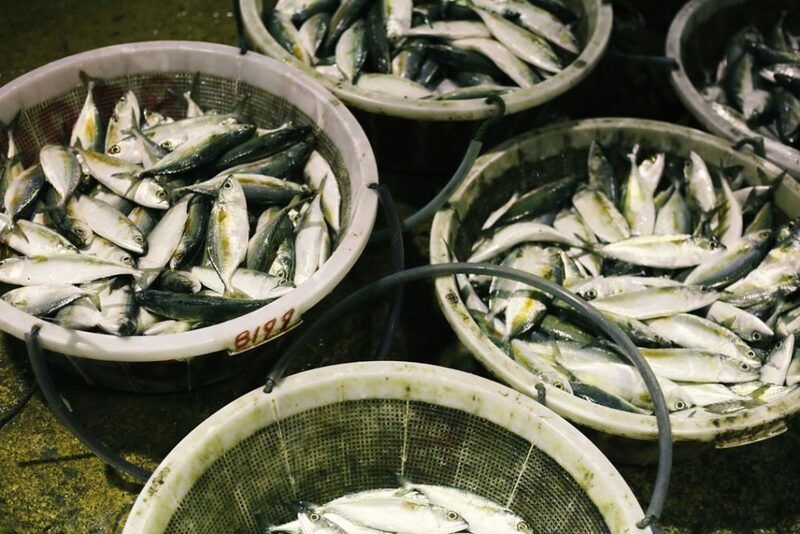 For them, their biggest goal everyday is to fetch a good price for their fish so they can feed their families. Observing this strenuous and unglamorous job, I wonder if they would scoff at my blind pursuit of passion. 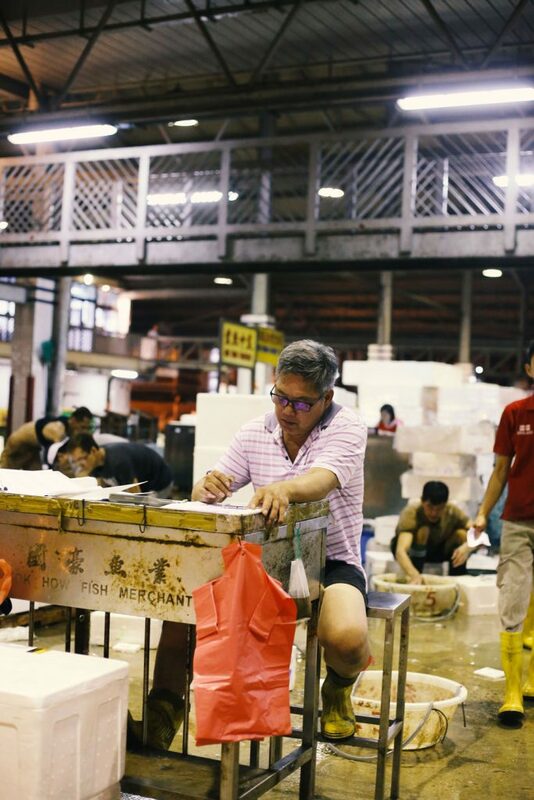 At 50 years old, the port is the largest fishery in Singapore. It’s busiest in the wee hours of Saturday, Sunday and Tuesday. Once their shift begins, fishmongers lay out the catch of the day and await traders’ best offers. They only pack up once they’re satisfied with their earnings. Sometimes this can be as late as 8am. 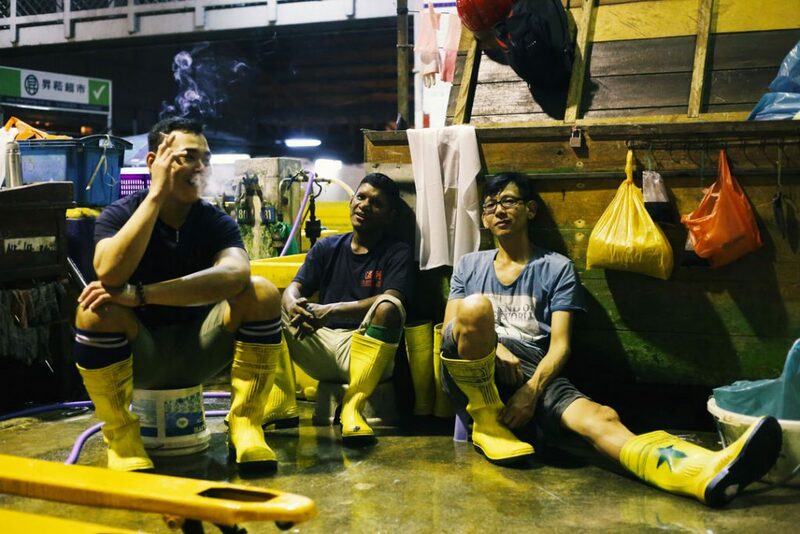 I speak with a few fishmongers towards the end of their shift, including a Singaporean from Khoon Lee Fisheries & Co. They all have children in university, and laugh when I ask if their children would follow in their father’s footsteps. This isn’t even an option worth considering; theirs is not a life they want for their children. Eventually, Junting tells me that most of these fishmongers have children who are high-flyers, such as doctors and MINDEF scholars. In fact, their elite education was paid for by the money their fathers made from the booming fishing trade back in the day. These days, life is harder. 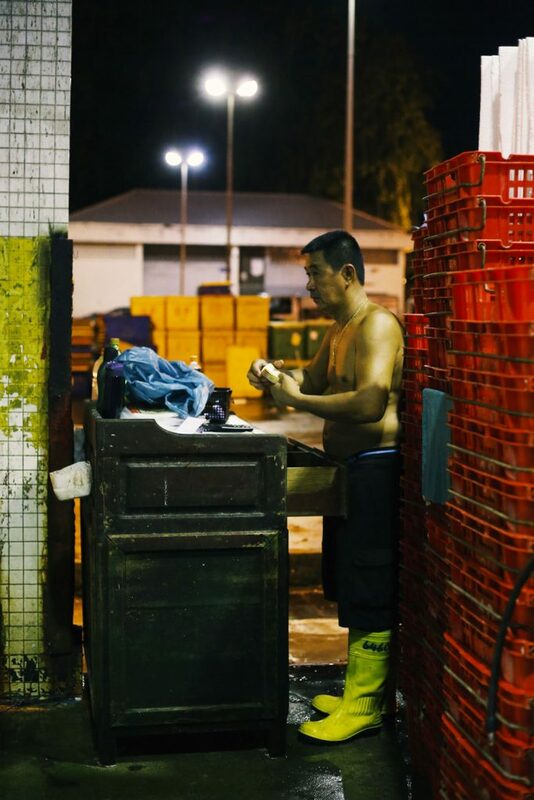 He also shares that the recent Ramadan month was rough on Hai Sia’s business—the majority of their fishermen are Malaysian and don’t work during this month. 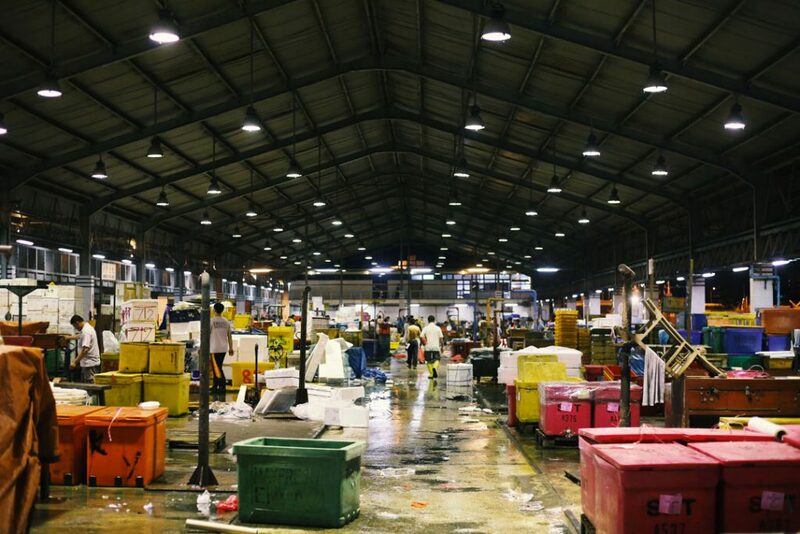 Changes in consumer behaviour also pose a challenge to Junting’s business. One such struggle is the industry’s obsession with sustainable food, which he thinks are merely marketing buzzwords. 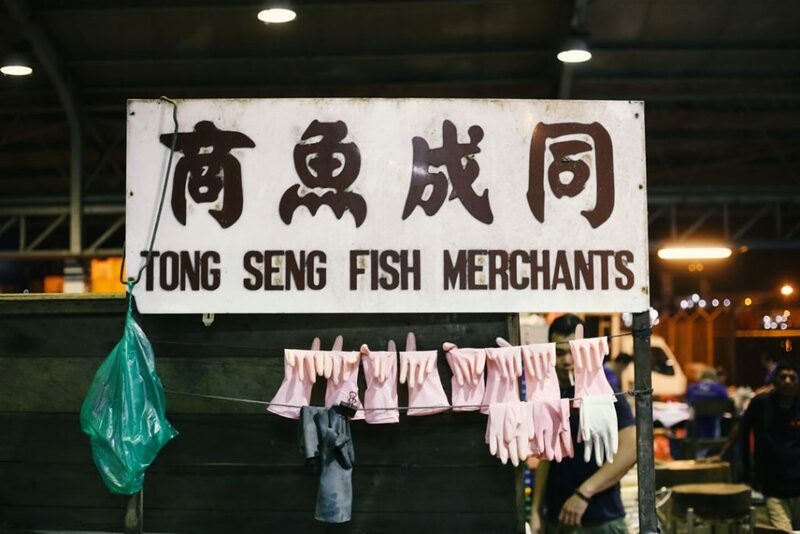 The glory days of the fishing trade may be over, but perhaps redeveloping the fishery into a tourist attraction will help raise awareness of the trade and its issues. One thing is for sure, this is a job for the physically, mentally, and emotionally strong. These men only have each other to depend on. Watching them chat and tease each other with inside jokes, I observe a tight camaraderie and brotherhood. As the sun rises, I spot a fishmonger wringing his sweat-stained shirt. Another ties a dirty towel around his waist. Someone jolts awake from his slumber on a stool. The start of a new day for most people is the end of one for these men. In 16 hours, they will make the journey back to this isolated part of the island. For now, they look forward to 5 minutes they will spend with their wives and children when they get home.